Russia had, next to France, the most advanced artillery. Their army had an artillery corps (like the French but less big) that could amass an impressive amount of fire power to pound the enemy. 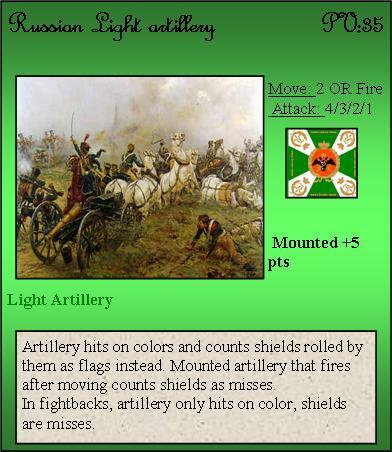 Light artillery with shorter range, but easier to move for close support of assaults. This is the standard Russian artillery, common on most battlefield. 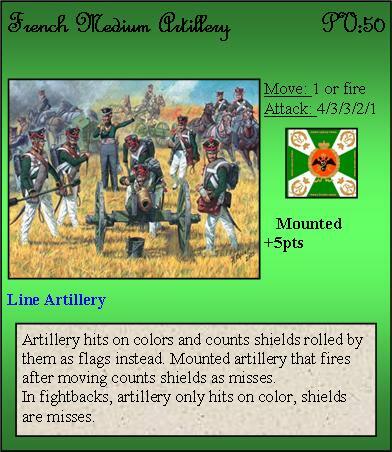 Note that artillery can be mounted. Today, there have been 6 visitors (45 hits) on this page!